A pupil from St Colmcille’s Quay School in Westport is celebrating this week after winning an award in a major poetry competition. Eleven year old Sybille de Pluvie, who hails from Brittany in France, moved to Westport last year on a cultural and learning experience with her family. 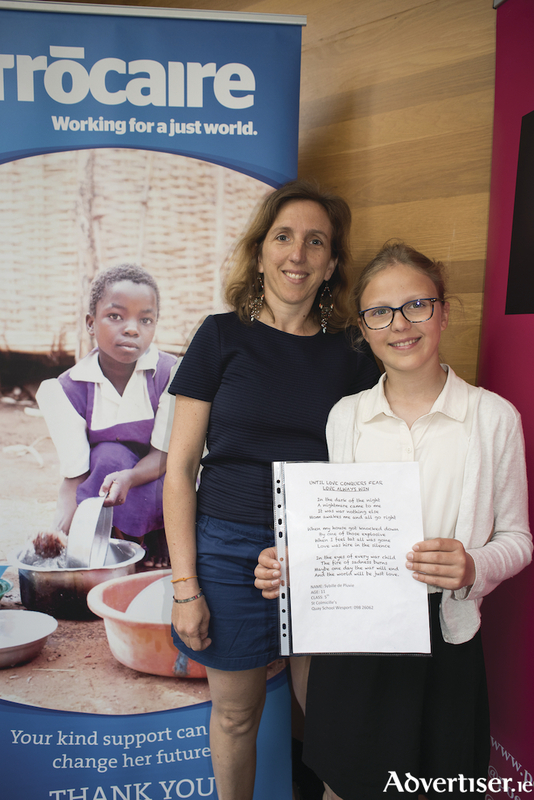 With her poem "Love Always Win", Sybille was recognised in the ‘Primary Senior’ category of the 2018 Trócaire poetry competition. The annual competition, in association with Poetry Ireland, uses the arts to raise awareness about the leading global justice issues of our time. This year submissions focused on the theme Until Love Conquers Fear, which examines the importance of showing support and solidarity with people facing hunger and injustice. The 2018 winners, ranging from primary school pupils to published adult poets, were awarded their prizes recently at the National Library of Ireland.